When I first came to Alice back in 2000, I had injured my neck on a backpacking trip. I was in total pain & I was scared that there was something seriously wrong. When I met with Dr. Alice, I wasn't sure what the energy work and muscle testing was all about, but I was open. What happened in that session blew my mind. Alice helped me get in touch with a blocked, suppressed emotion I had been holding in my body for 10 years - unknowingly - and she said this was the time it was coming up for healing. Once she helped me to get in touch with it - I shed some tears and released it - she was able to adjust me structurally and this time, it truly healed! For the first time in 3 weeks of solid pain and muscle spasms in my back and left arm, my pain was almost completely gone within 24 hours! I was stunned. It was my first personal experience with how intimately the emotional body and the physical body are so connected. Dr. Alice Grob is amazing at what she does. She let's the spirit guide her work that I believe is some of the most progressive body work out there. Neuro Emotional Technique (N.E.T.) 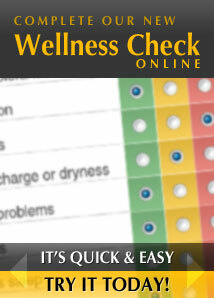 is a safe, natural way to resolve long-standing health issues that have an emotional component. Emotions are perfectly normal, however they can sometimes have a negative impact on ones health. In times of stress, trauma or disease, our body’s ability to “let go” of these emotions are hindered and years later can cause chronic physical and emotional problems. Many emotions and emotional responses can and do effect people in a negative way. N.E.T. aims to release these negative responses from the conscious, subconscious and the body to bring harmony and balance back to the body and mind. How can N.E.T work for you?